In the past six years, six people have been killed and 1,225 people have been injured, including 69 permanently, in elevator mishaps in Ontario, according to watchdog. From bumps and bruises to amputations and even death, data suggests elevators in Canada are proving increasingly dangerous. In the past six years, six people have been killed and 1,225 people have been injured, including 69 permanently, in elevator mishaps in Ontario — which accounts for close to half of Canada's elevators — according to the Technical Standards and Safety Authority, which regulates the devices in the province. The TSSA data shows the number of incidents more than doubled between 2011 and 2016, rising at an average rate of about 14 per cent a year. Serious injuries have been increasing annually by eight per cent. 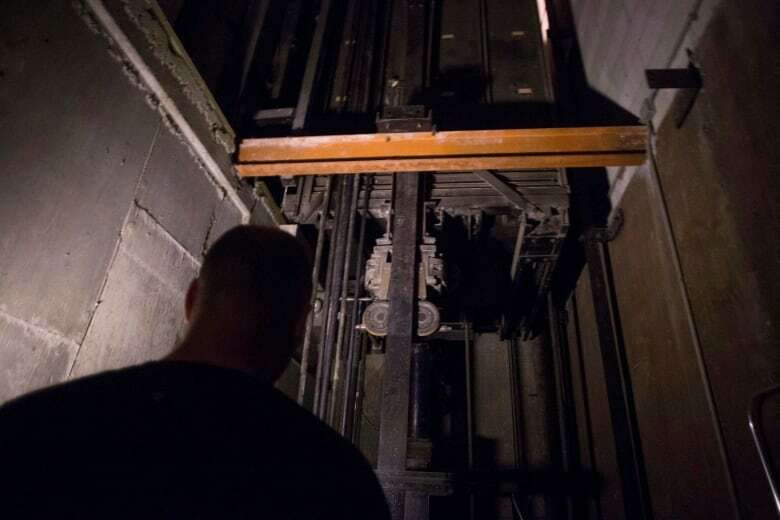 To be sure, the thousands of residential and office elevators in service are generally safe, and deaths and serious injuries related to their use are relatively rare. Still, data obtained by The Canadian Press paints a disturbing picture of what can go wrong when people use a device most take for granted. Many mishaps, data indicates, relate to levelling issues: when an elevator fails to stop flush with the floor despite TSSA stipulations that elevators should display "stopping accuracy." "Out of level: Lady cracked her toes when she tripped into elevator," one TSSA investigation report states. "Member of public watched four people within 15 minutes trip," states another. "Lady tripped going in elevator; broken nose, broken thumb," according to another. The authority identifies numerous causes for the problems, including shoddy maintenance and failure to follow the rules. However, the bulk of incidents — 75 per cent — are blamed on "user behaviour." "The most prevalent occurrences are related to doors, either by impact when entering or exiting the elevator or while trying to prevent elevator doors from closing," the TSSA says in its annual report. "Factors such as distracted users are identified as primary causes for such occurrences." Whatever the reasons, some incidents might be categorized as truly terrifying. In March 2015, an 86-year-old Ottawa man had his legs amputated after a faulty elevator crushed them in a seniors' co-op building. He died a short while later. "Man got legs pinned between car and hall sill, amputation of legs," the report states. What caused the mishap was never clear, the TSSA said. Other incidents range from toddlers getting fingers and hands trapped, and electrical fires erupting, to devices that drop and stop suddenly and unexplained losses of critical hydraulic oil. "Day-care: Five children on a tethered nylon strap. Two got in elevator, three outside elevator. People rescued them. No injuries," one report states. "Man with dog tried to kick dog leash into elevator and caught foot between doors and fell broke his arm." In another case, an elderly woman got into the elevator at her seniors' residence. "(She) was in there for 20 hours before they found her," according to the report. Sometimes, parts aren't secured properly: "Position-indicator panel in the car came loose and swung down and hit tenant in the face; cut to face." Or: "Ceiling fell on passengers; little girl got a goose egg, and mother two-centimetre cut on finger." Electrical fires originating in circuit and controller boards are not unusual, the reports show. "Bottom right side of controller had flames that melted wires," one report states. Between 2008 and 2016, TSSA inspectors examined 2,942 occurrences across Ontario. Given that some incidents go unreported — potentially in violation of regulations — the number is likely higher. Still, the odds of being killed are 800 times higher in a car — 35 times higher in an airplane — than in an elevator, according to the TSSA. That might come as cold comfort to those hurt in elevators or the thousands of Canadians trapped in one every year due to a malfunction. Sometimes, reports show, vandalism gets the blame. "Someone tampered with controller; beer sprayed over it causing it to short out and caused contaminated parts," one inspection report notes. Other recorded incidents stray into the bizarre or even comical:"Male leaving elevator tripped while carrying pies, hit the hall wall; various body parts sore," and "Valet retrieving car left it in gear. When he got out, it crashed into door. It bent and came off track."